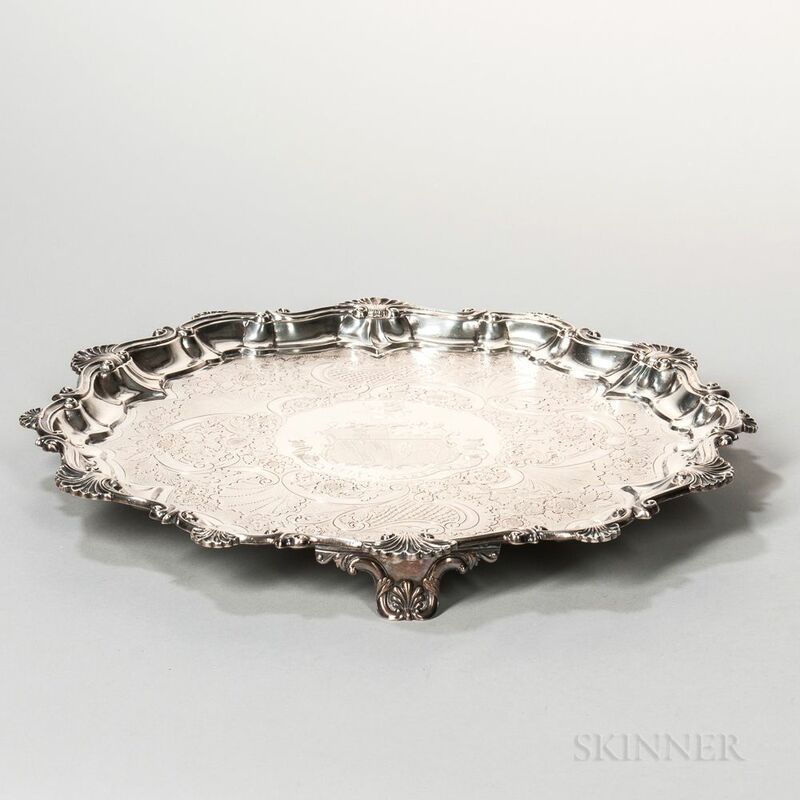 George IV Sterling Silver Salver, London, 1826-27, Joseph Angell, maker, with a shell and scroll cast rim and a rocaille engraved interior centering an engraved coat of arms, dia. 16 7/8 in., approx. 61.5 troy oz. In good overall condition with only age-typical surface abrasions.